Participating families/musicians have a two-part obligation to enroll in the Youth Symphony of Kansas City. Tuition for 2018-19 ranges from $396 to $846 depending on the orchestra. Overture Program: $396Sibling Discount: Families with more than one musician participating receive a discount on tuition. See additional details below. Each family is responsible for providing 5 credits of volunteer service or paying an additional fee of $150. Volunteer credits may be fulfilled by performing set-up and tear-down duties at rehearsals and concerts, providing drinks and snacks, or by assisting with office mailings among fulfilling other needs. Generous tuition assistance is available for families with qualified financial need. Financial Aid application forms can be found here. The Musician agrees to participate in his/her school music program if available, on the instrument that he/she plays in the Youth Symphony. For example, a Musician who plays a string instrument in the Youth Symphony must be in the school orchestra, if available, and a Musician who plays a wind, brass or percussion instrument in the Youth Symphony must be in band, if available. 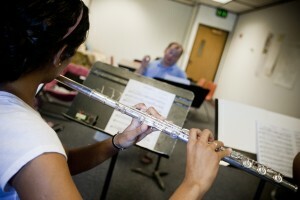 Families with more than one musician participating receive a discount on tuition. Pay full tuition for the first child and each additional sibling receives a $100 credit on their Youth Symphony tuition. Sibling discount is not applicable for musicians in Overture Program. A non-refundable tuition deposit equal to one-third of the annual tuition is required to secure a position in the program. Families seeking financial assistance will submit a financial aid form in lieu of an initial deposit upon acceptance. ALL YOUTH SYMPHONY FEES, INCLUDING ENSEMBLE FEES AND VOLUNTEER CONTRIBUTIONS, ARE NON-REFUNDABLE AND NON-TRANSFERABLE.